The ensemble surrounding the muṭrib in the Arab Mashriq is called takht. The word takht –of Persian origin– designates the stage or podium: a wooden platform slightly higher than the ground where the members of the ensemble sit. 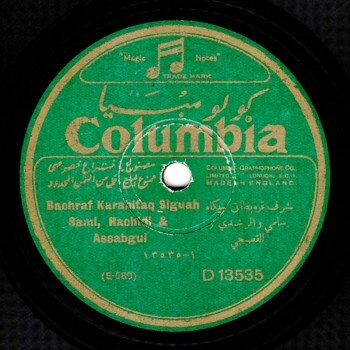 With time, takht became the title of the musical ensemble itself. The takht is originally composed of four melodic instruments, a percussion instrument and two or three accompanying singers surrounding the muṭrib. All remain seated on one stage during the whole vocal and instrumental performance, which helps create a comfortable and harmonious group atmosphere while performing the vocal and instrumental waṣlāt. Sannīda, madhhabjiyya, biṭāna or raddīda are the four different names given to the choir accompanying the muṭrib in singing group phrases. Each title is given to them according to the function they perform: madhhabjiyya for singing the madhhab of the dawr; sannīda and raddīda for performing the répons during the hank of the dawr; and biṭāna for singing the dawr of the muwashshaḥ with the muṭrib. The first madhhabjī whose vocal abilities are close to the muṭrib‘s may replace him during certain passages of the performance, such as ‘Abd al-Ḥayy Ḥilmī with ‘Abduh al-Ḥamūlī, ‘Alī ‘Abd al-Bārī with Yūsuf al-Manyalāwī, Ṣāliḥ ‘Abd al-Ḥayy with ‘Abd al-Ḥayy Ḥilmī, and Muḥammad ‘Abd al-Wahāb with Sayyid Darwīsh. A madhhabjī is a recognized muṭrib, yet still completing his training. Sometimes, the ‘awwād –the ‘ūd player– is the singer himself according to the traditions of Arabic singing, such as ‘Abduh al-Ḥamūlī and Ibrāhīm al-Qabbānī. 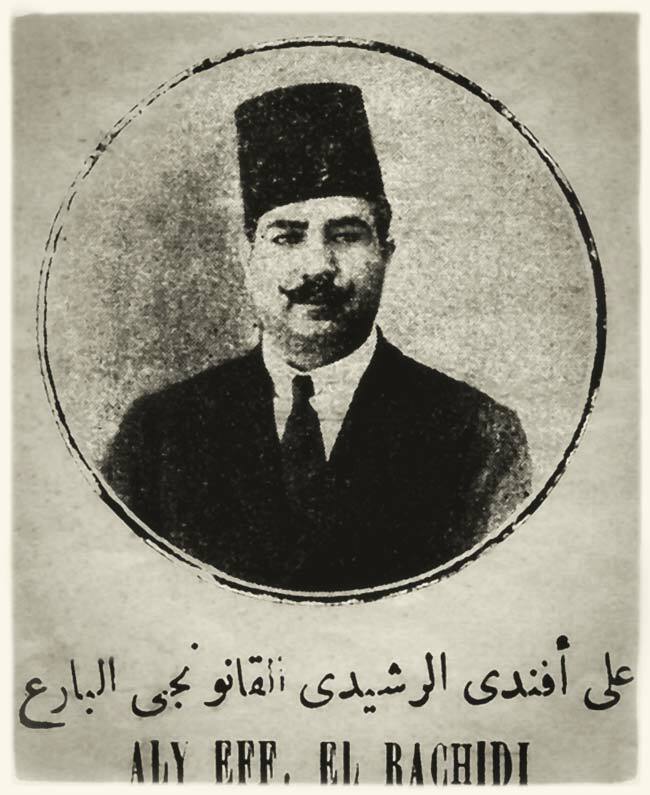 The qānūnjī is the qānūnist. 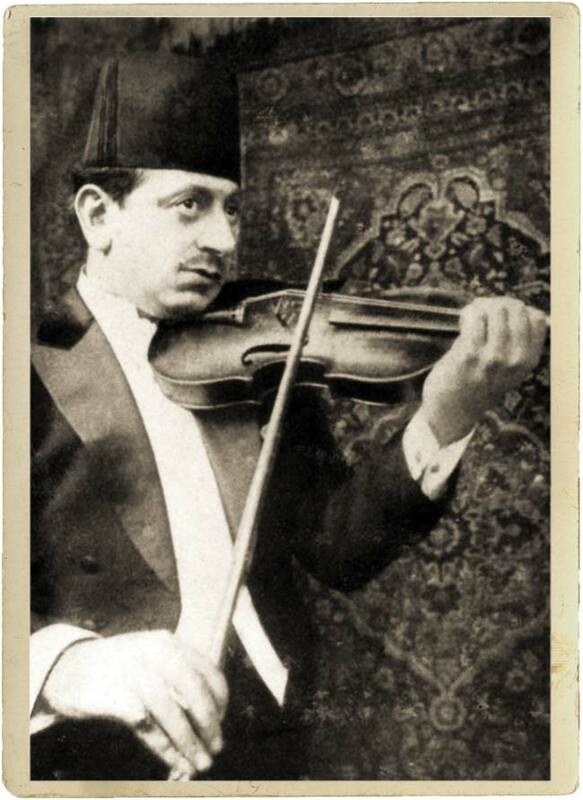 The kamanjātī is the violinist (violin in Arabic is kamanjā or kamān). The nāyātī is the nāy player. The raqqāq is the riqq player responsible for the percussions and the waḥda beat. The takht is not an ensemble composed of fixed members, as some performances may not require one –or more– of the instruments. 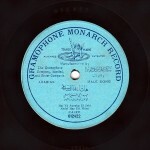 As an example, there is the takht that accompanied Sheikh Yūsuf al-Manyalāwī in the recordings made by Gramophone in 1907 that did not include the ‘ūd. The takht can sometimes be limited to two melodic instruments, a fact we clearly notice in numerous recordings. Let us listen to the performance of a takht consisting of only two instruments: the takht of Ibrāhīm Afandī Sahlūn playing the violin and Muḥammad Afandī Ibrāhīm playing the qānūn, performing the muwasshaḥ “Waghak mushriq” with ‘Abd al-Ḥayy Afandī Ḥilmī and his biṭāna. The role of the bitāna or the madhhabjiyya is put forward, particularly the role of the first madhhabjī who does not merely accompany the muṭrib, but also completes and improves his performance, as mentioned previously. 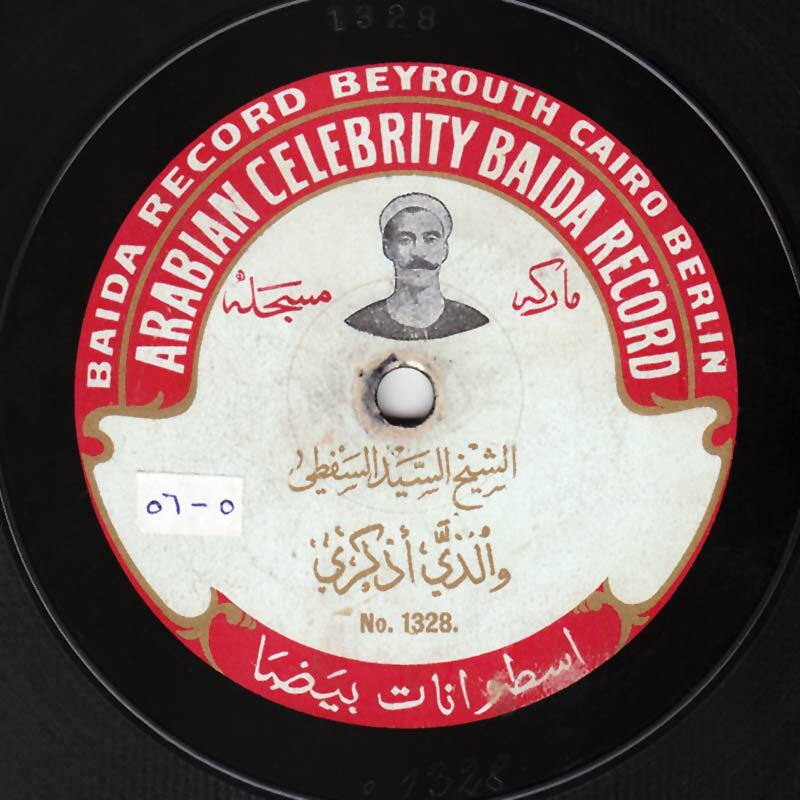 Odeon recorded it around 1906 on one side of a 27cm record, order # X45312-2, matrix # EX1309B. Up till the early 20th century there existed, in parallel with the takht, a female takht called “Takht al-‘awālim” composed of female musicians and muṭribāt who only performed for women. There are no photos or recordings of this type of takht. We only know this for a fact because it is mentioned in books. However, it seems that female singers – even those who kept the style and the songs of the ‘awālim (almees) – used to sing with a male takht when they recorded, if we are to believe the books about the female takht. 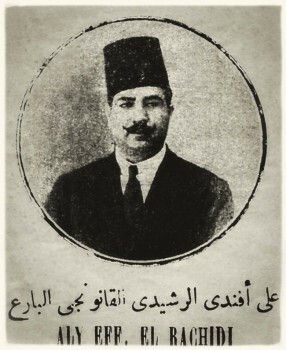 Let us listen to El-sitt Bahiyya al-Maḥallāwiyya –one of the most famous ‘awālim of the early 20th century– singing zaffat el-‘arūsa (the bride’s procession) “Itmakhtarī yā ḥilwa” with “Takht Odeon” composed of Ḥāj Sayyid al-Suwaysī playing the ‘ūd, ‘Abd al-‘Azīz Afandī Qabbānī playing the qānūn and Sī Tawfīq, a third person she mentions whose name was never mentioned in any references, playing the ṣunūj –a copper percussion instrument, the cymbal, used with the ‘awālim: it is attached to the fingers and produces a sharp metallic sound. It seems that Si Tawfīq also accompanied her in singing. 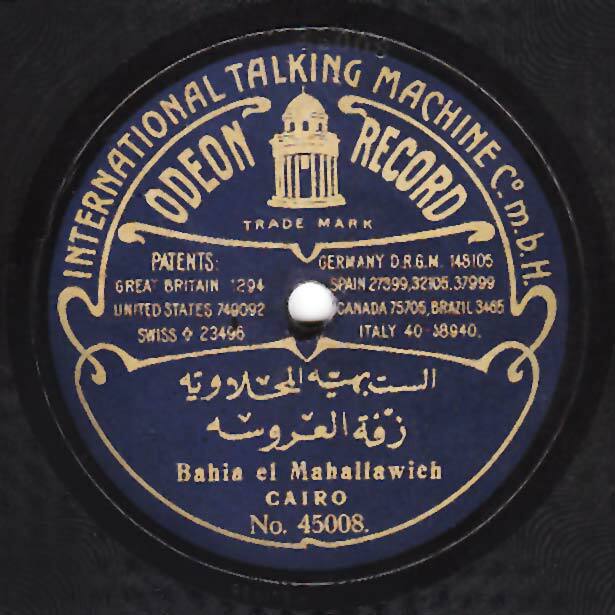 Odeon recorded it around 1905 on one side of a 27cm record, order # 45008, matrix # EX1086. 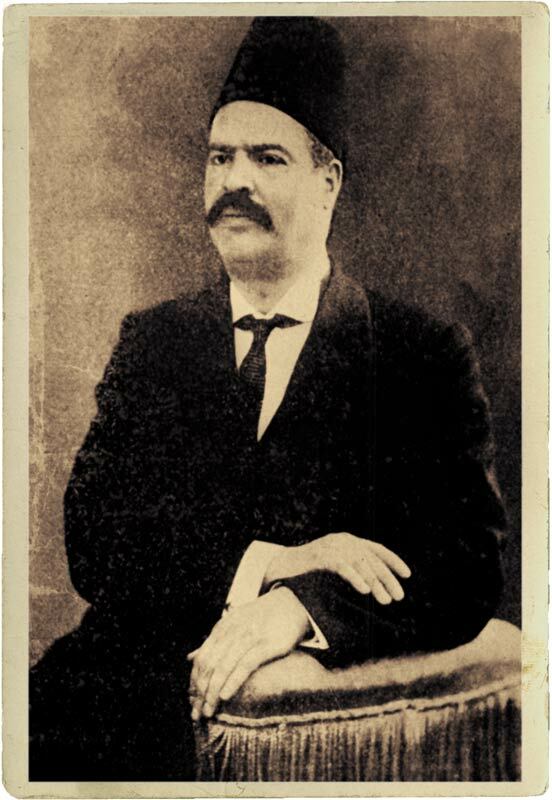 The takht is usually named “Takht (x) or (y) musician” such as “Takht al-Shawwā” in reference to violinist Sāmī al-Shawwā and “Takht al-‘Aqqād” in reference to qānūnist Muḥammad al-‘Aqqād. Some of the record companies, when they appeared, formed their own takht such as “Takht Odeon”, or “Orchestra Odeon” as it is printed on some posters. Later on, a number of muṭribīn and muṭribāt named their takht after themselves in order to associate it exclusively to them. The members of the takht perform the waṣlāt together: on one hand, each singer or musician listens to the others carefully and on the other performs individually to complete this group performance of taqāsīm mursala (of non-metric measure), muwaqqa‘a, or improvised phrases performed by each musician in the taḥmīla for example. The group’s internal rules for playing music are far from being left to coincidence: each instrument has a precise function through which the musician participates by adding his own spontaneous improvised phrases that enrich both the melody and the rhythm of the performed piece. As an example, let us listen to the bashraf qarra batāq sīkāh performed by the takht of Muḥammad al-Qaṣṣabjī (‘ūd), ‘Alī al-Rashīdī (qānūn) and Sāmī al-Shawwā (violin) where each musician gives free rein to his inspiration in performing the original melody of the bashraf to a point where it seems to the listener that he is hearing three different melodies. In fact, it is one melody played from different points of view. In addition to that, what each musician fills the khāna’s free spaces with, is filled by each performer with spontaneous improvisations and taqāsīm according to his inspiration. 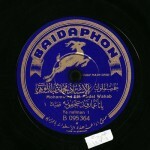 The recording was made by Columbia Records around 1929 on both sides of a 25cm record order # 13535 1-2, matrix # E589 and E590. Some muṭribīn were very well learned as to the principles of melody. They respected the role of the takht and never tried to bypass or undermine it on the account of the muṭrib. 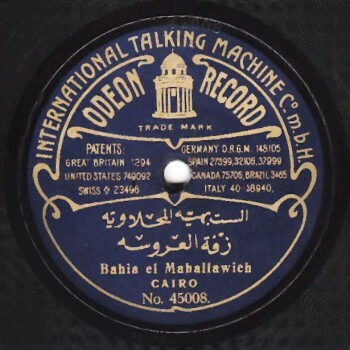 As an example, let us now listen to Sheikh Sayyid al-Ṣaftī performing a piece recorded by Baidaphon (record # 1328 – 1329) around 1910 with the takht of Sāmī Afandī al-Shawwā, ‘Abd al-Ḥamīd Afandī al-Quḍḍābī and ‘Alī ‘Abduh Ṣāliḥ. Because of its short duration, it was recorded on both sides of a 27cm record, i.e. it does not exceed 8 minutes. It includes a dūlāb –instrumental introduction–, a muwashshaḥ “Wa al-lathī askara” excerpted from the conclusion of Lisān al-Dīn Bin al-Khaṭīb’s muwashshaḥ “Ayyuhā al-sāqī” whose tune is attributed to Abū Khalīl al-Qabbānī, then a samā‘ī dārij bayyātī whose composer is unknown, and a taqsīm layālī. 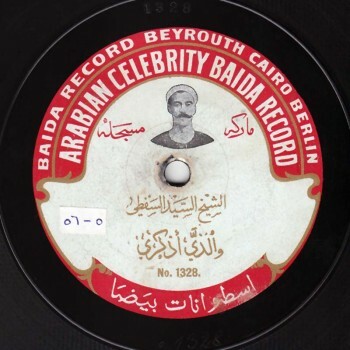 On the other side is recorded the mawwāl “El-Ḥibb min al-Ḥubb” highlighting the mutual cooperation and respect among all the performers: munshidīn and musicians. We will resume discussing this subject in the second episode of “The Oriental Takht“ of our series “Durūb al-nagham”. This episode was brought to you by Ghassān Saḥḥāb with the cooperation of Muṣṭafa Sa‘īd.